To download a flyer and help us spread the word about our club, click HERE. We use the GroupMe service to exchange cell phone text messages about flying dates. 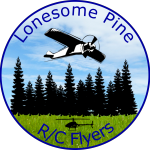 To participate in cell phone text messages about general LPRCFlyers flying dates, times, and other miscellaneous chatter, click HERE.